The U.S. Army Engineering and Support Center, Huntsville has scheduled a Virtual Industry Day for its Range and Training Land program. The event coincides with the Small Business Forum 2018, set for Oct. 23, 2018 at the Davidson Center for Space Exploration located on the U.S. Space & Rocket Center campus at 1 Tranquility Base, Huntsville, Alabama. 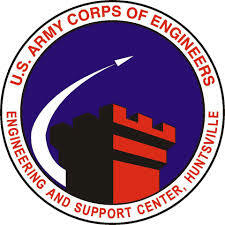 The Huntsville Center’s objective is to select architectural and engineering firms for design services to support various Army, Army Reserve, National Guard and Marine Corps installations and design projects for U.S. Army Corps of Engineers District offices; and other Federal and State agencies. The hour-long event begins at 10 a.m. in the auditorium. During the event, Huntsville Center staff will provide information and answer questions concerning the acquisition requirement. The agenda consists of an overview of the scope of work; planned acquisition strategy approach; small business tips and best practices. The event will also provide networking opportunities and increase small business participation. While registration for the Small Business Forum 2018 is closed, you can attend virtually. The event will be available live via the Huntsville Center’s Facebook page at www.facebook.com/HuntsvilleCenter. To learn more about how your firm’s capabilities may fit, please see the fact sheets about programs and doing business with the Huntsville Center at https://www.hnc.usace.army.mil/Media/Fact-Sheets. The 78th Civilian Engineering Group, in conjunction with the Robins AFB small business office, is hosting its first-ever Industry Day focused solely on the upcoming civil engineering requirements for Robins Air Force Base. This is a unique opportunity to speak directly with the base’s civil engineering staff, learn about their future requirements and pitch your abilities to the Government. For large businesses, participation in this event will be a great way to find qualified subcontractors. A limited number of contractor’s booths will be available. This kind of event has never been done before by Robins AFB. To receive more information, sign up on the small business mailing list by emailing: wralc.bc.frontoffice@robins.af.mil. The General Services Administration (GSA) is once again asking for industry input on a massive e-commerce portal that would make buying commercial products easier and faster for federal agencies. GSA will host an industry day for the platform at its headquarters on June 21, Mark Lee, the agency’s assistant commissioner for policy and compliance, said Wednesday at a Coalition for Government Procurement conference. The event is open to any group looking to weigh in on the online platform that will handle billions of dollars in federal spending on commercial products. Lee said the agency will also publish two related requests for information by the end of May: one for sellers interested in joining the portal and another for providers looking to host it. The Defense Department will take the next step in its quest for an enterprise-wide cloud computing contract potentially worth billions on March 7, hosting an industry day. 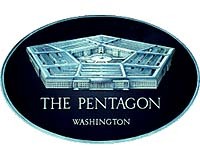 The industry day, which will take place at the Sheraton Hotel in Pentagon City, will give tech and defense contractors the opportunity to listen to a series of Defense Department officials provide updates on the Joint Enterprise Defense Infrastructure cloud acquisition. According to the public posting, officials expect to release a draft request for proposal — a precursor to a contract the department intends to award in fiscal 2018 — with instructions for submitting written questions. Officials will not take live questions during the event. The U.S. Army Corps of Engineers Engineering and Support Center, Huntsville (CEHNC) is holding a virtual industry day for the Utility Monitoring and Control Systems (UMCS) on 04 April 2017 from 1300 hours to 1700 hours Central Daylight Savings Time (CDT). CEHNC is seeking qualified firms to procure and install Utility Monitoring and Control Systems (UMCS) in anticipation of awarding the fifth generation (UMCS V) of multiple Indefinite Delivery/ Indefinite Quantity (ID/IQ) contracts for the UMCS program. CEHNC anticipates awarding contracts with a four-year base ordering period and three one-year option ordering periods. The anticipated program capacity shared by all awarded contracts is approximately $2.75 billion. The North American Industry Classification System (NAICS) code for this acquisition is 541512, Computer Systems Design Services. The small business size standard is $27.5 million. Pre-registration is a requirement for this event. Please contact LaShonda Smith, Business Advisor / Contract Specialist at lashonda.smith@usace.army.mil if you plan to attend. Please include your company name, name of each attendee, including an email address and phone number for each attendee. All registrations must be received no later than 31 March, 2017. Upon completion of registration, registrants will be provided access codes for the Virtual Industry Day. TThe agenda will consist of an overview of the Scope of Work, planned acquisition strategy, tips and best practices for Small Business, and a Question and Answer (Q&A) session. This event will allow the Government to provide valuable information to industry regarding the acquisition, answer any questions concerning the requirement and the planned acquisition approach, and receive buy-in from industry. This special notice is posted on FedBizOpps (www.fbo.gov) site under W912DY-17-R-0014. Attendees got a chance to learn about the benefits of membership from NCMA representatives. The Jan. 24, 2017 Industry Day — sponsored by the Atlanta chapter of the National Contract Management Association (NCMA) — was a big hit with the 325 people who attended. 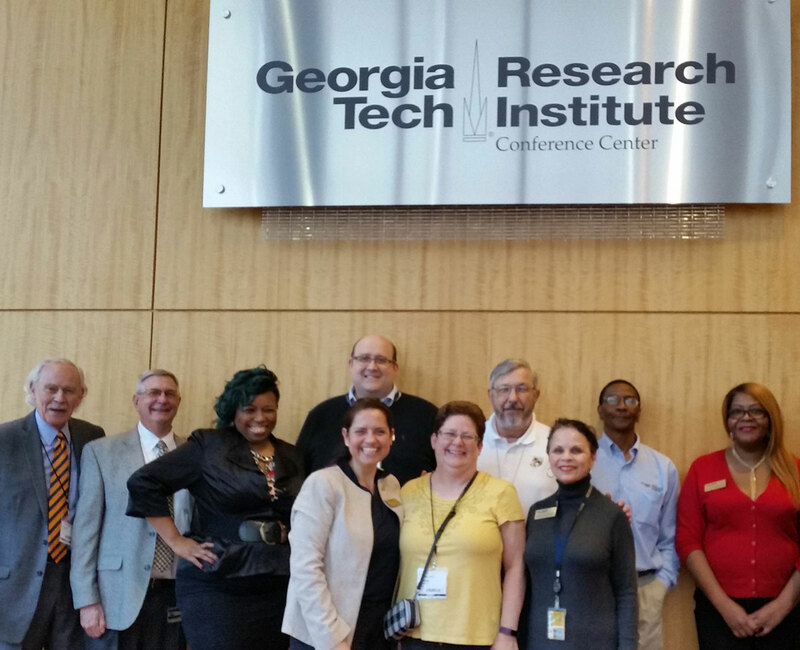 The Georgia Tech Procurement Assistance Center (GTPAC) hosted the event at the Georgia Tech Research Institute’s Conference Center in Atlanta. GTPAC is one of many programs that make up Georgia Tech’s Enterprise Innovation Institute. Vendors and government buyers mingled and networked at the Jan. 24 GTPAC-hosted event. It is estimated that 250 small businesses participated in the day’s activities, which featured presentations on various federal, state and local government agencies’ contract opportunities to hundreds as well as individual appointments between hundreds of businesses, 49 buyers and 12 resource partners. The buyers participating in the event included representatives of government agencies as well as prime contractors looking for subcontractors. Sharon Morrow of the U.S. Army’s Small Business Office answered questions from the audience about upcoming contract opportunities. The keynote address of the day was delivered by Sharon Morrow, Mentor-Protégé Program Manager and Small Business Liaison for SBIR/STTR at the Army’s Office of Small Business Programs. Other featured speakers included NCMA Atlanta Chapter president Christina Edwards; GTPAC program manager Joe Beaulieu; Georgia State University executive-in-residence Cassius Butts; and NCMA Atlanta small business chair and CDC small business manager Gwendolyn Miles. GTPAC’s program manager Joe Beaulieu acted as MC for the morning’s activities in the packed auditorium at the Georgia Tech Research Institute’s conference center. Business tips were provided during the morning’s general session by Stacey Larson of CBS, Terri Denison of the SBA, Eugene Tinker of Certified Technical Experts, Prudence Howard of the VA, and Erv Koehler of GSA. Vendors learned about contracting with the Atlanta Housing Authority. Information about upcoming contracting opportunities was presented by Jeff Napier of the Centers for Disease Control and Prevention, Angela Whitmore of the Atlanta Housing Authority, and Tony Ortiz of the FAA. In a busy matchmaking room, vendors presented their capabilities to buyers representing both government and industry. Three consecutive hours of “matchmaking”– appointments between buyers and sellers — were scheduled during the afternoon. At the Dept. of Administrative Services’ table, vendors learned about how to do business with the State of Georgia. Government representatives from the VA, GSA, Clayton County, HUD, FAA, the Georgia Department of Administrative Services, the Atlanta Housing Authority, and Georgia Tech’s MBDA Business Center staffed tables to meet with interested vendors. Supplier opportunities were a hot topic at IBM’s matchmaking table. In addition, many corporate buyers participated, including representatives from Booz Allen Hamilton, CBS, DB Consulting, IBM, ICF International, Georgia Power, LMI, Leidos, Northrop Grumman, RTI International, and Wyle Services. Participants learned about the services offered by the MBDA Business Center at Georgia Tech. Running concurrently with the matchmaking appointments was a presentation on how to do business in the government sector conducted by one of GTPAC’s counselors, Tom Larkin. Dozens of people attended this workshop as a productive way to spend their time while waiting for their appointments. Vendors received one-on-one help from GTPAC counselors like Steve Bettner seen here on the left. Scores of the small businesses in attendance also took advantage of this occasion to receive contract-related counseling from the entire team of GTPAC counselors and staff who came in from all parts of the state to support the event. Bridget Bennett and Donna Vandersall spoke to many attendees throughout the day about the no-cost services offered by GTPAC. GTPAC representatives provided help to businesses on such topics as registration in the System for Award Management, certifications, and creating effective capabilities statements. GTPAC also helped out-of-state attendees connect with the Procurement Technical Assistance Center (PTAC) in their locale. Technology partner Matt Gonzalez of IVSN (seated, left) explained the matchmaking process to a participant. Attendees at the Industry Day used a special web site and a smartphone app to register for and check-in at the event — and keep track of their matchmaking appointments. The website and the app were developed by IVSN Group LLC. The leadership of NCMA’s Atlanta Chapter contracted with IVSN to manage registration and appointment-making for the complex Jan. 24th event. The app – called PTACGo! – can be downloaded free from Google Play (for Android devices) or Apple’s App Store (for iPhones). It allows users to see, and register for, small business events across the country on smart phones, tablets, laptops and PCs. Members of the Rocky Top event management team took a quick break from a long day that began at 7am and concluded at 4pm. Adding support to the day, a four-person team from Rocky Top Event Management Services provided on-site management. Rocky Top provides management services to the Association of Procurement Technical Assistance Centers. Special thanks go out to CBS, Axiom Corporation, and Rumph and Associates for sponsoring the Industry Day’s breakfast refreshments. Below are a few more photos from the active and successful day. In both formal and informal settings, buyers and sellers had lots of opportunities to exchange ideas and information. An attendee is seen here showing off a 3-D printing creation to interested buyers at CDC’s matchmaking table. LMI representatives had a steady string of visitors during the matchmaking event. GSA’s acting regional administrator Erv Koehler spoke about his agency’s future buying needs. Georgia Power was one of many corporate entities who sent buyers to talk about contract opportunities. GTPAC clients had the opportunity to learn about subcontracting opportunities with Booz Allen Hamilton. CDC’s chief of contracting Jeff Napier explained his agency’s mission and buying needs. Nancy Cleveland and Tom Larkin were 2 of 9 members of the GTPAC team who counseled scores of business persons on government contracting topics throughout the day. The Atlanta chapter of the National Contract Management Association (NCMA) will sponsor an Industry Day on January 24, 2017. 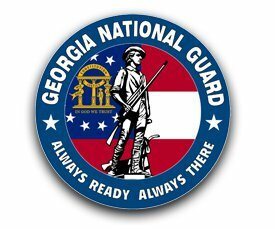 Once again, the Georgia Tech Procurement Assistance Center (GTPAC) will host this day-long event at the Georgia Tech Research Institute’s Conference Center in Atlanta. The day features information on upcoming government contracting opportunities, workshops, and matchmaking appointments between small businesses, agencies and prime contractors. Registration for the event is now open, and advance registration is required in order to attend. The Industry Day will be held from 8:00 am to 4:00 pm at the Georgia Tech Research Institute’s conference center located at 250 14th St., NW, Atlanta, GA 30318. Last year, the Industry Day drew nearly 300 people — representing both small and large businesses, government agencies, and experts in the field of government contracting. More than 500 individual appointments were conducted between small businesses and buyers. Details on last year’s event can be found by clicking here.